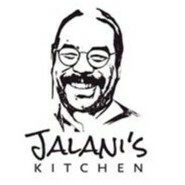 Jalanis Kitchen joined our Mission to help provide access to “Clean Water for All by 2030”. This Mission was initiated by the United Nations. A big thank you to Jalanis Kitchen’s team and customers for joining this extremely important mission on 22 November 2017. Jalani's Kitchen Catering is a friendly caterer aspiring to create dishes that will warmth your heart (tummy) especially for those who are away from home. We make a variety of dishes from Asian to Western and many other delicacies and finger food.